Every cat owner knows just how difficult it is to give your cat medicine. Even if your cat is ill, they some how manage the strength to still hiss, scratch and bite to get away from that dreaded medication. When at the vet's and he/she administers the first dose, or at least we always talk our vet into doing that, your vet has a way of always making it looks so easy, until you get home and it's your turn to administer it. There are several different techniques to giving your cat medicine, however these methods do require some trial and error to find out which one works best for you and your feline friend. If the cat medicine your vet prescribes is in pill form, you can purchase a pill crusher at your local drug store and crush the pill. Place the crushed up pill in your cat's favourite soft food or some baked or boiled chicken. If the medication comes in a capsule, this makes your job easier, simply open the capsule and empty half of it into your cat's food. You may have to place the pill,empty the capsule or pour some of the liquid medication into different servings of food, so that the medicine is distributed and doesn't overpower the cat food. This method does not always work due to the fact that some cats will taste the pill right away and then refuse to eat it. 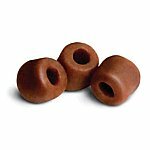 Pill pockets are basically cat treats that conceal the pill so that your cat won't taste or see the pill. This method works quiet well with some cats.You can buy pill pockets at many pet stores or online. To find out how to choose healthy cat treats for your cat read Cat Treats Can Be A Healthy Addition To Your Cat's Diet. This Method was recommended by our veterinarian.When using this method, cut the pill in half and wrap it in the cream cheese, serve each half at two different times throughout the day. You can also crush the pill and mix it in with the cream cheese, once again only crush and mix in half at each serving as not to overpower the taste of the cheese with the pill.If you are working with liquid cast medicine, you can still mix the dosage for that day into some cream cheese. Serve the pill filled cream cheese in your cat's bowl, on your fingers or rub it on your cat's front paws. As cat owners we know what great value our cat's place on keeping themselves clean, so if something is on their paws, their definitely going to try and lick it off. Ask your vet if they can prepare the medication in a flavoured liquid or gel. If not, there are several companies online FLAVORx being one of them, where you can order your flavoured cat medicine. Depending on what type of flavours your cat likes, you tell them the name of the medication and choose a flavour. A pill pusher can be purchased at your local drug store or sometimes even your vets. It has a rubber tip that holds the pill and a plunger that pushes out the pill. To start, make sure that the pill is placed in the pill pusher and that you have a syringe filled with water. First, lift up your cat and hold with one arm around him/her. Then use your thumb and ring finger to press at the corners of your cat's mouth. Use your middle finger and index finger to lift your cat's nose, at this point your fingers should be on either side of your cat's nose. Now place the pill pusher in the cat's mouth, press to release the pill and then do the same with the syringe, the water helps your cat swallow the pill. For liquid medication, do not use this method; instead insert the dropper between the cat's cheek and teeth. After this technique both you and your cat deserve a treat. Vet Appointments - How to get your cat into the carrier and ways to make the vet appointment less stressful for your cat. Finding A New Vet - Looking for a new vet? This article guides you through different effective ways to find a new vet. Questions To Ask A New Vet - A List Of Important Questions To Ask Your Cat's Potential New Vet. 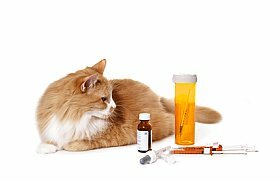 Vaccinations That Are Important To Your Cat's Health -Read To Find Out Which Vaccinations Your Cat Needs And Which Ones They Don't. In Case Of An Emergency The Protect Your Pet Card Lets Emergency Services Know That You Have Pet/Pets Waiting For You At Home, Making Sure That Your Pets Are Cared For. Win A Free $250 Petsmart Gift Card For Your Cat! Click Here To Easily Enter For Your Chance To Win. "There are few things in life more heartwarming than to be welcomed by a cat."